Dust masks are used to prevent the inhalation of airborne particles from such sources as fire, volcanic eruption or dust storm. Face masks are also helpful in preventing and aiding in the prevention and the spread of disease, flu, etc. In the aftermath of a disaster gas explosion, earthquake, hurricane, volcano, tornado, tsunami, winter storm, terrorist attack, flood, fire, accident or other emergency, contaminants will be released into the air. It is important to have an air filtration mechanism such as a dust mask or particulate air filter. 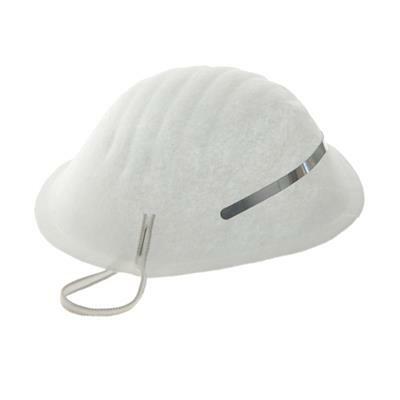 Dimensions: 4" x 2" x 4.5"
Protection from dust and germ inhalation. Protextion from dangerous toxins that can be kicked up into the air following a large disaster.